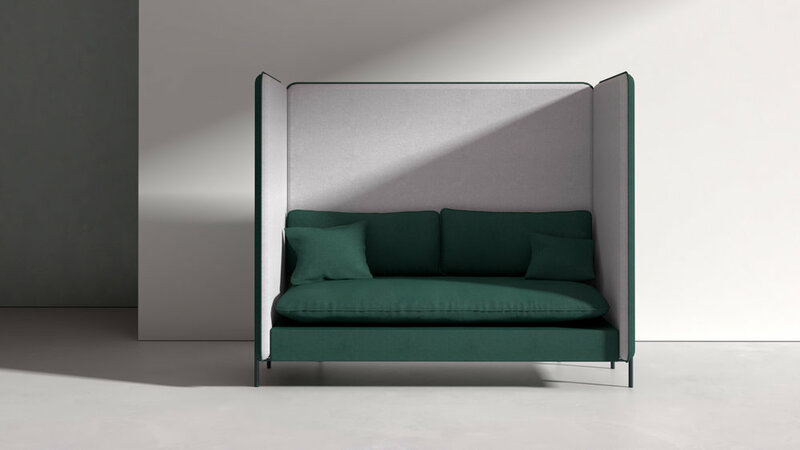 A sofa for those who want a private sanctuary in open-plan environments. The Jacob Highback sofa offers plush comfort with a back and sides that are 1500mm high. 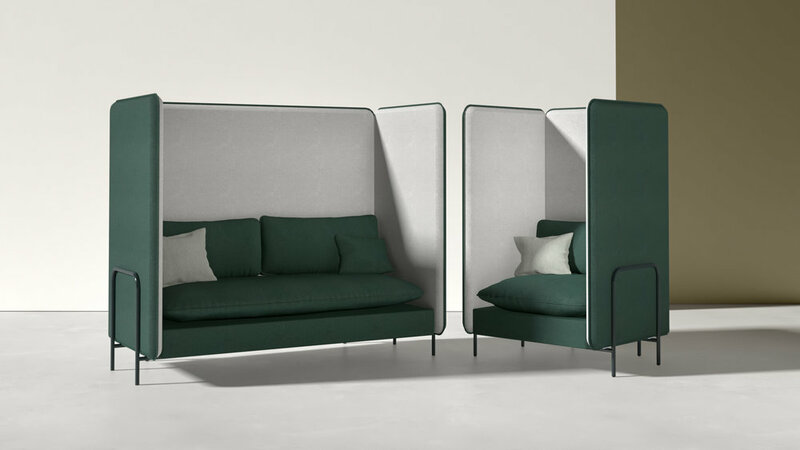 As well as offering visual and acoustic separation, this has a cocooning effect, which is ideal for seclusion in busy collaborative workplaces. Available as a single, two or three seater. The cushions are a soft yet supportive mix of feather-down and foam. 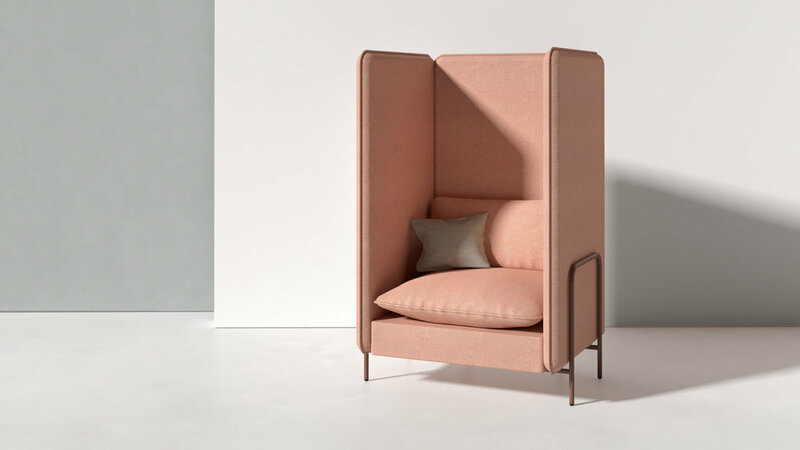 Upholstery features a thick piping detail that adds to the overall plushness of the piece. Inspired by our iconic Jake chair, the Jacob Highback sofa also has slender tube frame. This can be powder-coated in a range of colours to coordinate with upholstery. The Jacob Highback also comes in a standard version, which is suitable for relaxed social spaces. Duel fabrics available for the internal and external upholstery.